Francesco Molinari hits the front at The Masters but Tiger Woods in hot pursuit for fifth Green Jacket. Francesco Molinari will take a two-stroke lead over Tiger Woods and Tony Finau heading into the final round of The Masters. Molinari, who won The Open in July, carded a flawless 6-under 66 to reach 13-under par and he becomes the first ever Italian to hold a lead going into Masters Sunday. The 36-year-old birdied the sixth and eighth and then raced into the outright lead with four consecutive birdies from the par-3 12th, where he nearly aced the hole in the process. Molinari has now gone 41 holes without making a bogey at Augusta National. The 2018 Race to Dubai champion will now bid to become the first Open champion to go on to win The Masters since Woods in 2001. 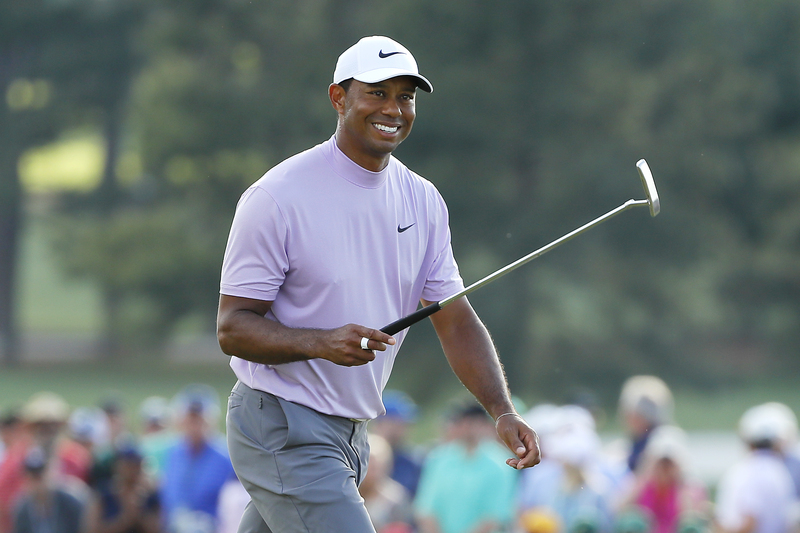 Woods produced the biggest roars of the day with a solid 5-under 67 that sees him vault up to 11-under alongside his compatriot Finau, who posted a best-round-of-the-day 8-under 64. The 14-time major champion, who carded six birdies and a bogey on Saturday, will now look to slip on his fifth Green Jacket following wins in 1997, 2001, 2002 and 2005. Woods is looking for his first major title since the 2008 US Open, while Finau will attempt o capture his first ever major title. Brooks Koepka, who has won three of the last seven majors, is also in contention for a major title after a 69 moved him onto 10-under par. England's Ian Poulter birdied the final hole to join Webb Simpson on 9-under. Sunday's tee times have been brought forward due to bad weather in the area, with the leading groups heading out from around 1.30pm (UK time).